AL-BBC ATTACKS ATHEIST EX-MUSLIMS AS ISLAMOFAUXBES………DEFENDS ISLAM 101’ERS – The Tundra Tabloids……. BBC Attacks Atheist Ex-Muslims As ‘Islamophobic’, Defends Islamists. 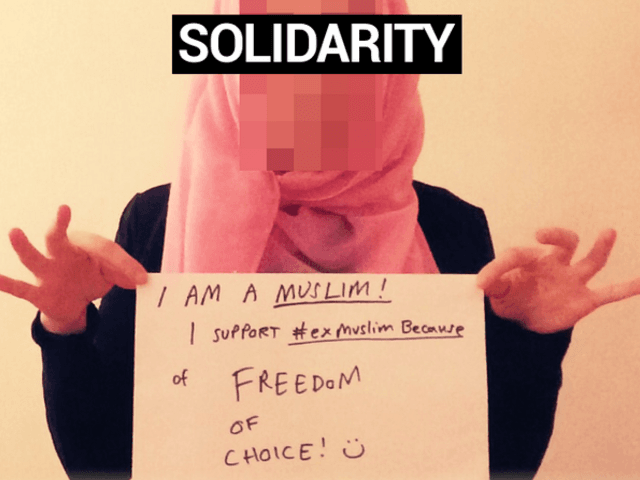 The hashtag #ExMuslimBecause began trending worldwide on Twitter last week. Many of those brave enough to speak out about Islamic apostasy taboos via the hashtag risked threats, intimidation and even violence. Yet the BBC chose to defend Islamists and attack the hashtag as “hateful”, “Islamophobic” and “bad timing” due to the Paris attacks. There are no less than thirteen Muslim majority nations on earth where apostasy and atheism are punishable by death. And in Saudi Arabia, the birthplace of Islam and Mohammed, atheists are classed are terrorists. “Tell us why you gave up being Muslim. Go to #ExMuslimBecause. It’s an encouraging, uplifting hashtag to read. Maybe there’s hope”, tweeted biologist and famous atheist Richard Dawkins. Previous Post Previous Post FINLAND: LEFTISTS DRESS HELSINKI STATUES IN ISLAMONAZI SCARVES AND BDS SIGNS……..
Next Post Next Post WEAPONS SHIPMENT TO ISLAMIC STATE MYSTERIOUSLY BLOWS UP INSIDE TURKEY…….